Gutter guards and leaf screeners are just a few protection systems installed on the roof to make sure that factors like rainwater, or leaves from nearby trees, or vermin infestation are closed off from the gutters. With these, cleaning and maintenance, as well as overall functionality of the gutters, will not be a problem. Port Stephens Roofing has the capability to do the installation of leaf screeners and gutter guards with expertise. As a homeowner, you will be put at ease knowing that your roofing system is efficient and protected, installed by our team of licensed and well-trained workers. 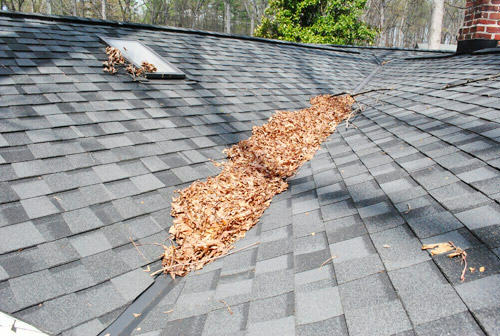 Leaf screeners are designed to catch leaf debris on the roof, allowing it to flow along with rainwater and away from the gutters. The system, which works to unclog and prevent gutter filth from accumulating, comes with a mesh that is standard of all homes or buildings, regardless of the roofing style. Port Stephens Roofing leaf screeners are proudly Australian-made and come with different colour options as part of its aesthetics. When installed, it actually becomes a presentable feature of the house, and not an eyesore, as homeowners can choose colours to match the gutters. For homes in high-risk areas that are susceptible to fire, the mesh in the leaf screeners are fire-resistant and CSIRO certified. They carry a flammability rating of 1, the safest rating. The leaf cleaners require neither maintenance nor cleaning. It has a threshold of 20 years upon installation, with a 5-year workmanship guarantee. Know more about leaf screeners and how Port Stephens Roofing can help improve your home or building’s roof by installing leaf screeners. Call us today!